Essential Qualification : Passed High School Exam from any Recognized Board and knowledge of Computer Application. 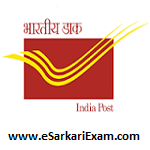 Process of Application : Eligible Candidates can Submit Application at the Official Website of India Post latest by 16th July 2018. Applicants First Logon to appost.in Official Website. Select Link of Respected State and Download Notification. Complete Application Form by using Registration No.